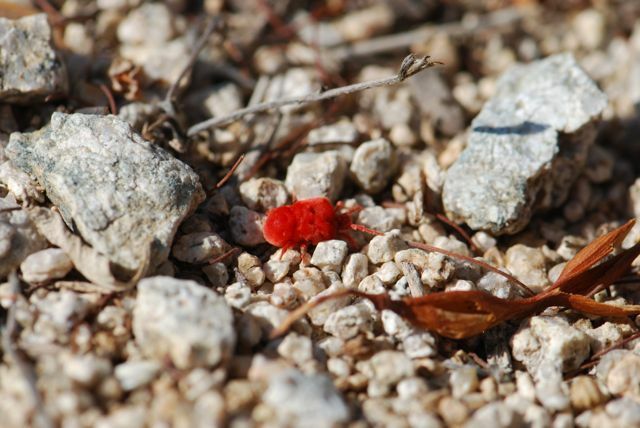 Red Velvet Mite: Ant Predator? 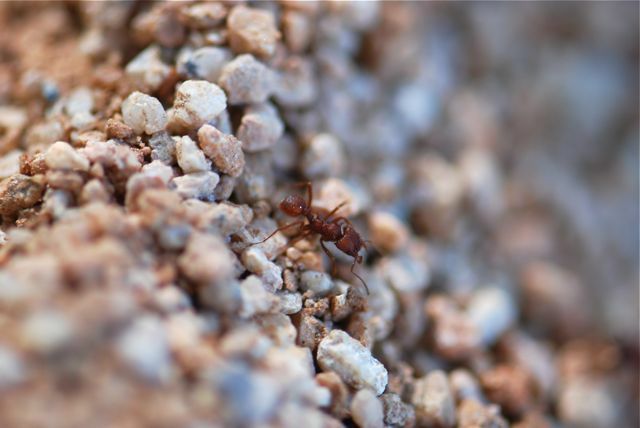 You may be wondering why I am showing this in an ant blog. 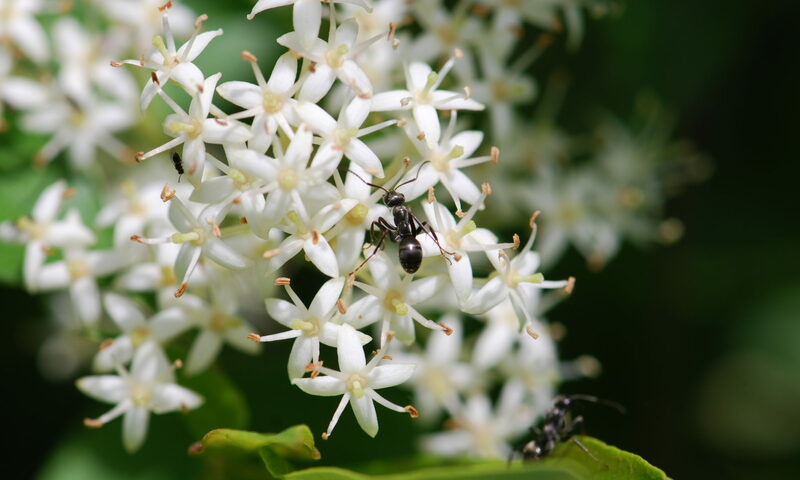 Given that it has eight legs rather than six, it is definitely not an ant. Do you know what this pudgy, bright red creature is? 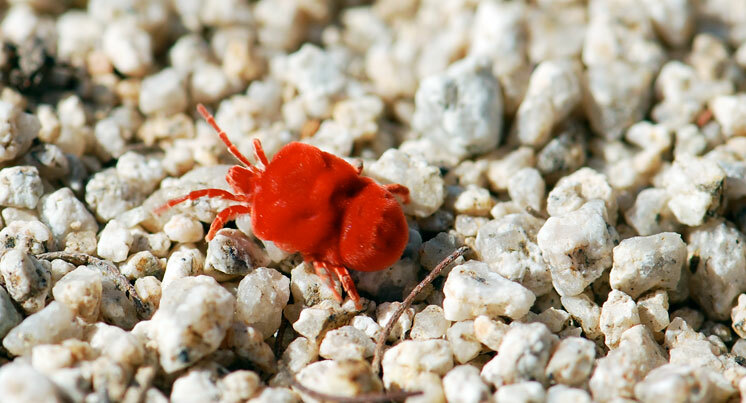 This is a red velvet mite. 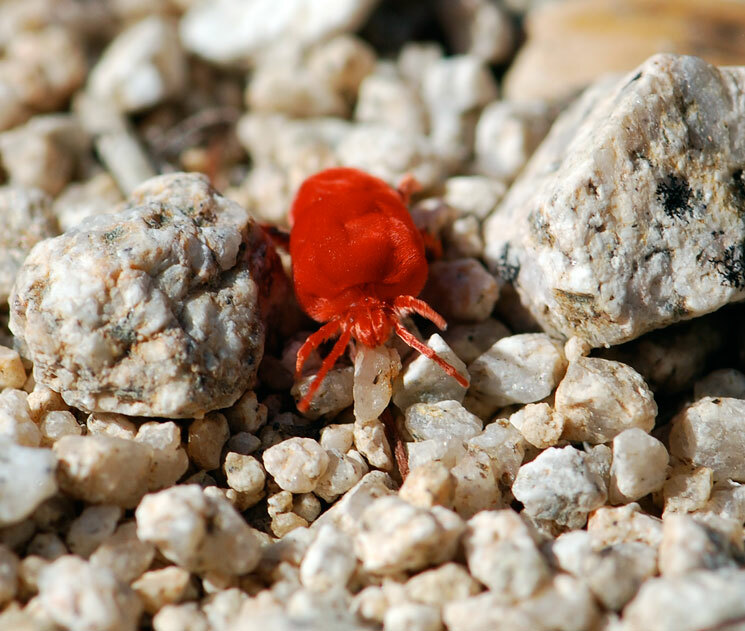 Red velvet mites are quite common in the Sonoran Desert in the summer, particularly after the summer rains or “monsoons” start. 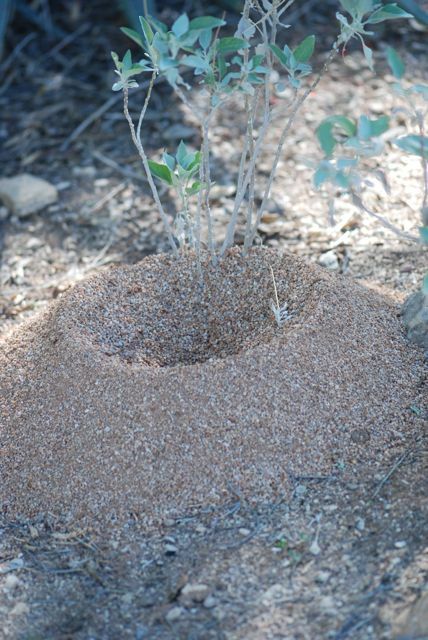 There is some question as to what the adult red velvet mites eat. 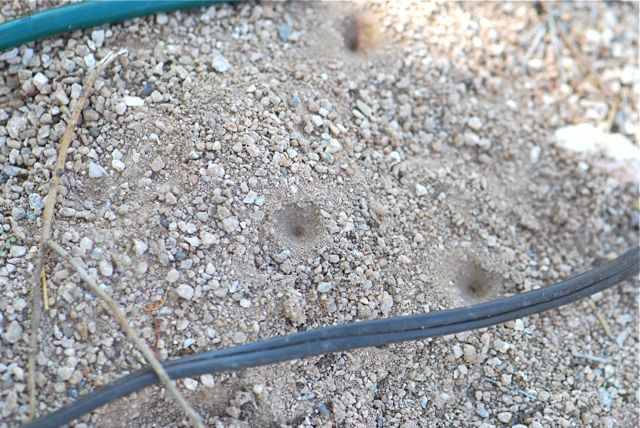 For years I had thought that they were predators of ant and termite queens, which also swarm after the summer monsoons. 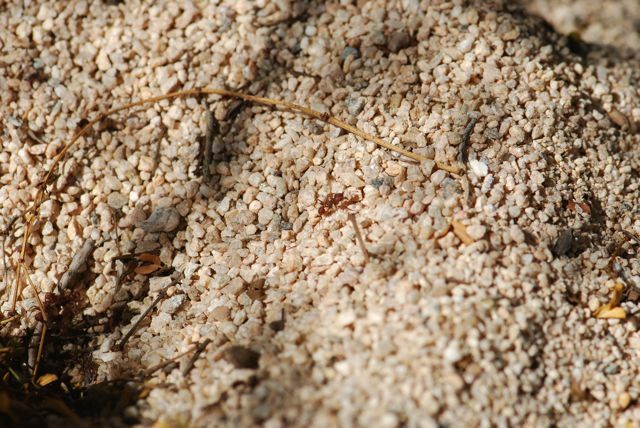 I have recently read, however, that red velvet mite adults eat the eggs of insects. I did find a photograph on BugGuide of a mite with an ant. 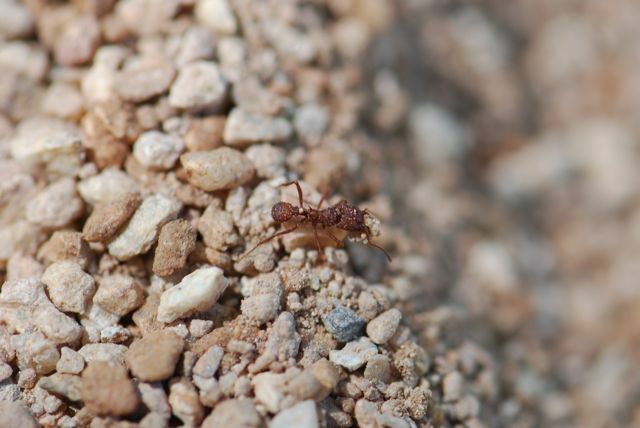 But I also found this one of an ant carrying a red velvet mite immature. 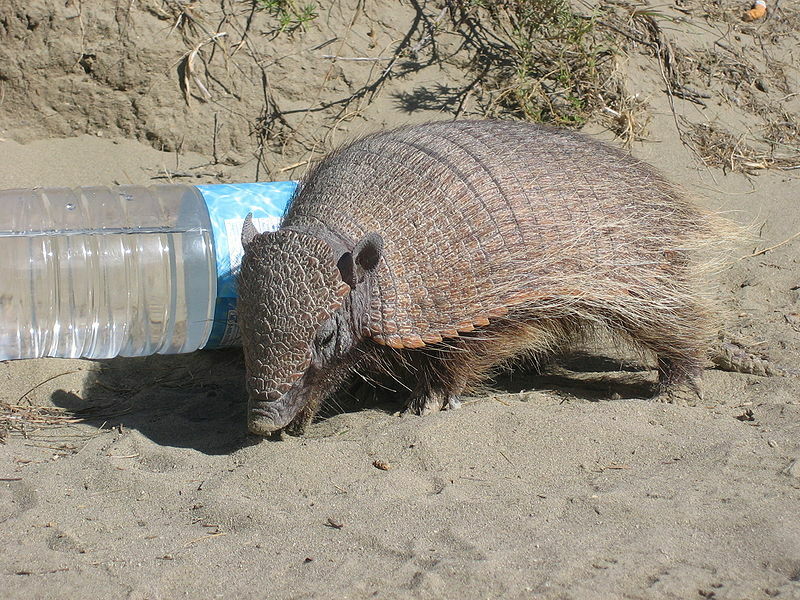 It is very possible that different species have different food preferences. Disclosures: The book was my personal copy. Also, I am an affiliate for Amazon. If you click through the linked titles or ads and make a purchase, I will receive a small commission at no extra charge to you. Proceeds will be used to maintain this self-hosted blog.